The solar industry has its roots in America. American inventors Charles Fritts, Edward Weston, Nikola Tesla and Albert Einstein (who won the Nobel Prize in 1922 for his paper on the photoelectric effect) led the innovation of the technology. American scientists at Bell Labs and Western Electric helped commercialize solar in the 1950s. The American government and NASA helped drive efficiency into the technology during the space race. These American pioneers were the foundational blocks of a modern billion-dollar industry which employs hundreds of thousands of people in almost every state in our nation, and many times that globally. In the decades since, our industry has collectively built a power generation infrastructure that is revolutionary. It runs each minute, each hour in each day across every state in our country and emits no carbon, no particulate matter, and no mercury. These are power plants that we can take our children to one day. This is an industry of which we can be proud. Unfortunately, it is an industry that is at risk. In the next 12 months, each of us will either take action to extend the federal Investment Tax Credit (ITC), set to drop by 66 percent, or we will not. 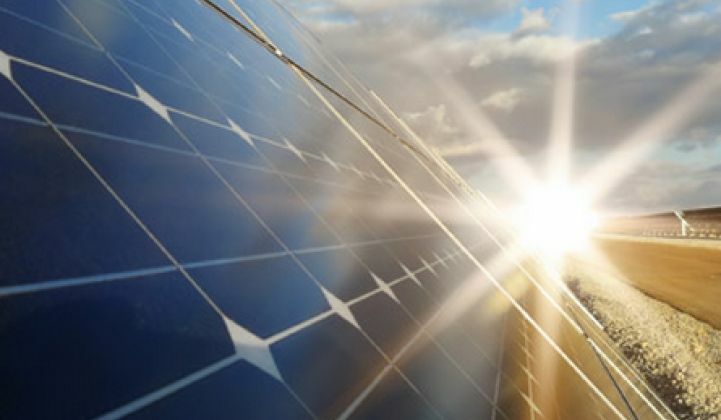 The planned reduction in the ITC is projected to cut solar installations by half, immediately setting the solar industry back five years and leading to the lowest annual amount of solar installed since 2012. It is estimated that the ITC step-down will cost one of America’s fastest-growing industries 100,000 jobs. We have estimated that it shrinks the addressable market by 20 percent to 30 percent immediately. The federal ITC for solar is not all that different than incentives that help families buy their homes, incentives that help employers fund employee healthcare, and incentives that drive innovation within technology and pharmaceutical companies. The federal ITC is just much, much smaller (the healthcare incentive is estimated to be over $150 billion annually). Other energy sources receive incentives; the fossil-fuel industry receives estimated subsidies of $10 million each minute, and the nuclear industry would not exist without the Price Anderson Act that protects its investors from liability. Tax incentives should be used intelligently to drive innovation and support emerging technologies that have a net benefit to society. In the next ten years, we must replace hundreds of old electricity generation units that are decades old with new wind, solar and natural-gas facilities. We have to fundamentally rethink how we produce, transport, store and use electricity. Now is not the time to cripple one of the most promising technologies and industries we have at our disposal. Now is the time to invest and incentivize growth and maturation. The industry needs a three- to five-year extension of the ITC, with a step-down and eventual expiration thereafter. An extended ITC and a more calibrated step-down will enable the technology to evolve, and drive the industry to mature, so that both can contribute more effectively to our energy future. Solar is one technology among many that should be part of our energy future. The solar industry was born in America, it employs and empowers Americans, and it powers America. A fundamental question for each of us is whether the future is crafted for us, or whether we craft that future. Let’s work together to extend the ITC so we can build this industry into all that it can be. Yuri Horwitz is the CEO of commercial and small utility-scale financier, Sol Systems. To date, the company has financed nearly 350 megawatts' worth of solar. To learn more about how the ITC step-down will affect solar in your state, visit www.Raceto2017.com.